The agricultural and rural crisis besetting Africa is the result of both policy failures and inadequacies and the product of structural rigidities inhibiting access to and control of vital resources. The challenge of leadership in the agricultural sector is how to design and implement policies which would help induce growth and development in this sector. It is against this background that the Africa Leadership Forum convened in Ota, Ogun State, Nigeria in July of 1989 to explore a broad range of parameters to be addressed in the formulation of successful policies. This volume is derived from papers submitted and presentations made. The book provides the main conclusions and recommendations which emanated from the conference. They highlight a series of actions which must be taken in such areas as women in agriculture, small-scale farmers, agribusiness, subsidies, human capital, and linkages between international and national research anbd energy. Other topics include - Africa's security situation; social and economic factors, ecology, and social engineering; dietary patterns in Africa; pest management; agricultural practice; and international organizations. 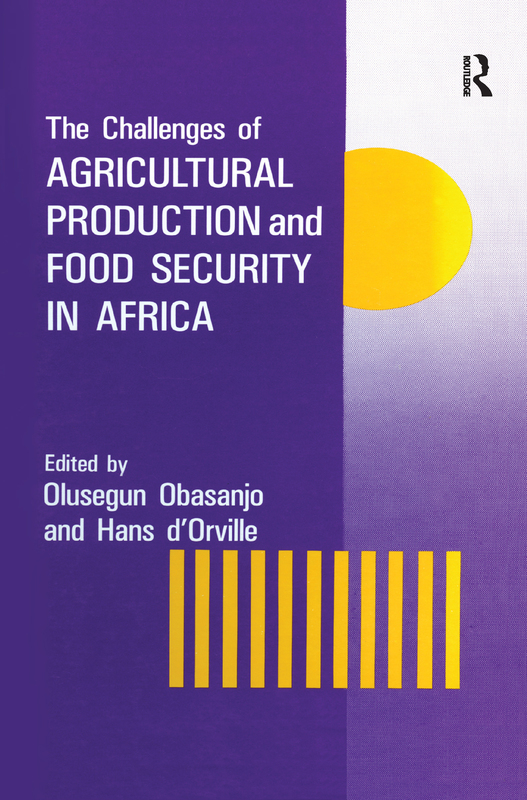 It is aimed at economists, anthropologists, ecologists, agriculturalists, social and political scientists, and all those interested or involved in agricultural production in Africa and other underdeveloped countries.